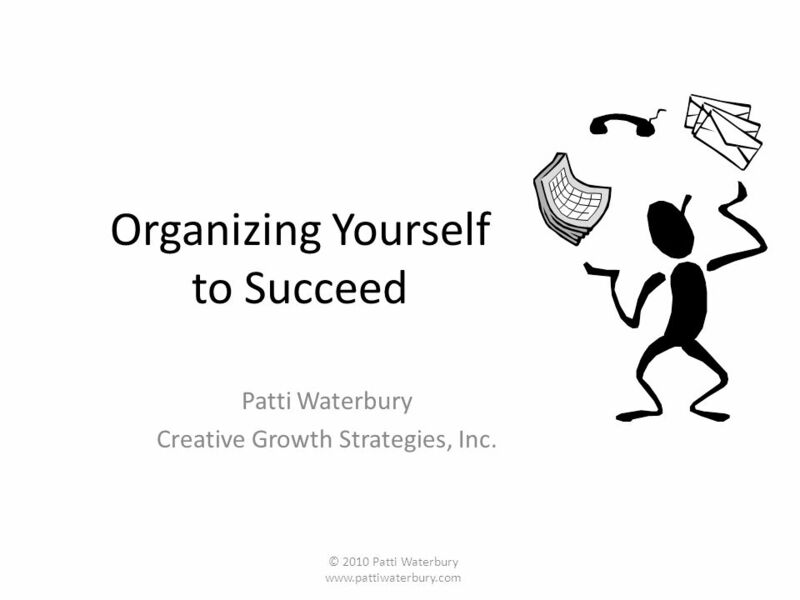 Organizing Yourself to Succeed Patti Waterbury Creative Growth Strategies, Inc. © 2010 Patti Waterbury www.pattiwaterbury.com. 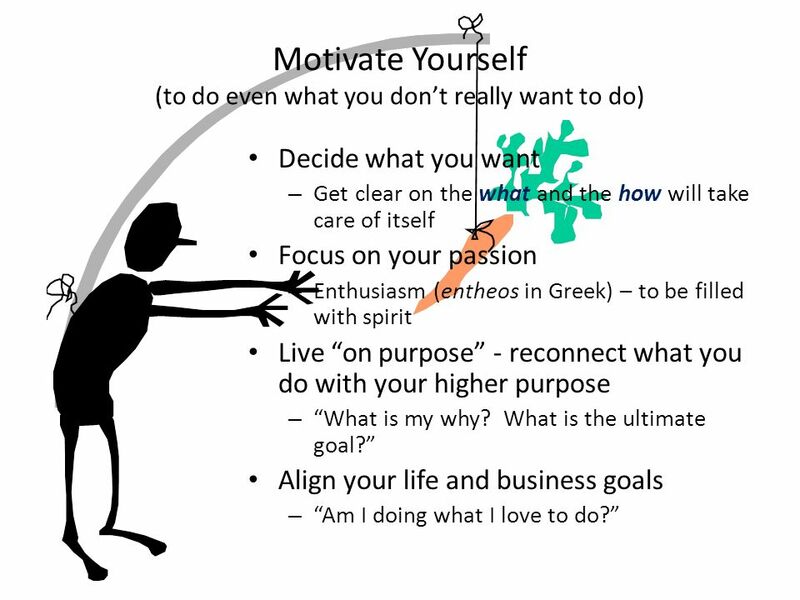 3 Motivate Yourself (to do even what you dont really want to do) Decide what you want – Get clear on the what and the how will take care of itself Focus on your passion – Enthusiasm (entheos in Greek) – to be filled with spirit Live on purpose - reconnect what you do with your higher purpose – What is my why? What is the ultimate goal? Align your life and business goals – Am I doing what I love to do? 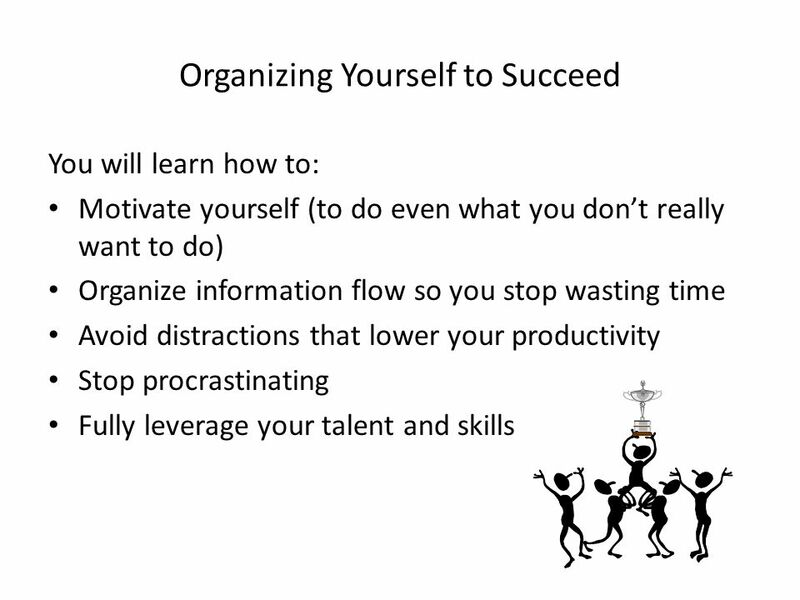 Download ppt "Organizing Yourself to Succeed Patti Waterbury Creative Growth Strategies, Inc. © 2010 Patti Waterbury www.pattiwaterbury.com." Time Management. Characteristics Of Time Theres a finite amount of time. Its the same for everyone. Nobody has more than anyone else. – Non-renewable. Follow-up System You need 4 x 6 Index Card Box 1 set of 4 x 6 Jan. - Dec. Card Guides 2 sets of 4 x 6 Daily Card Guides 1 set of 4 x 6 (3) Colors. 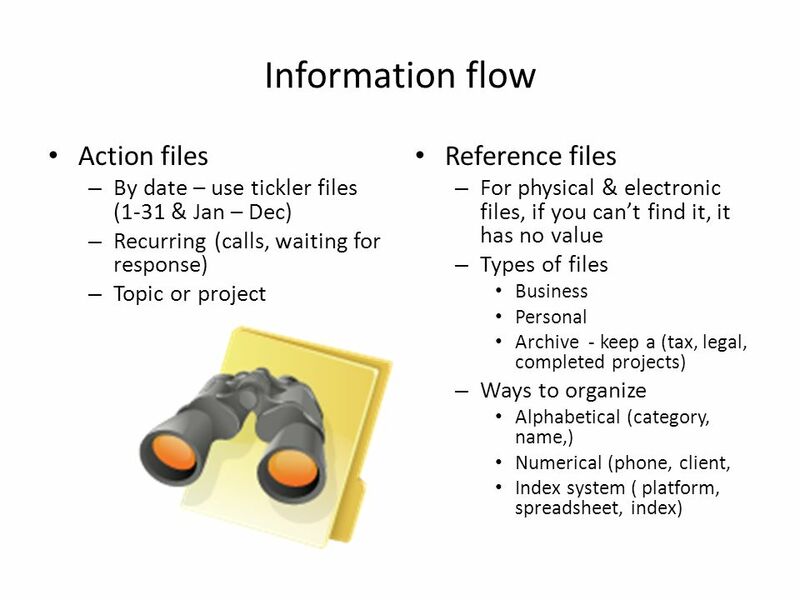 As a result of this training, participants will be able to: Choose three time management toolsthat he/she can employ in the workplace Value the importance. Do you manage your time or does it manage you?. Goal Setting Use the SMART strategy to set goals that are: Specific Measurable Attainable Relevant Time. Tips For Taming The Time Trap! 9 Steps Towards Spending Time Wisely. 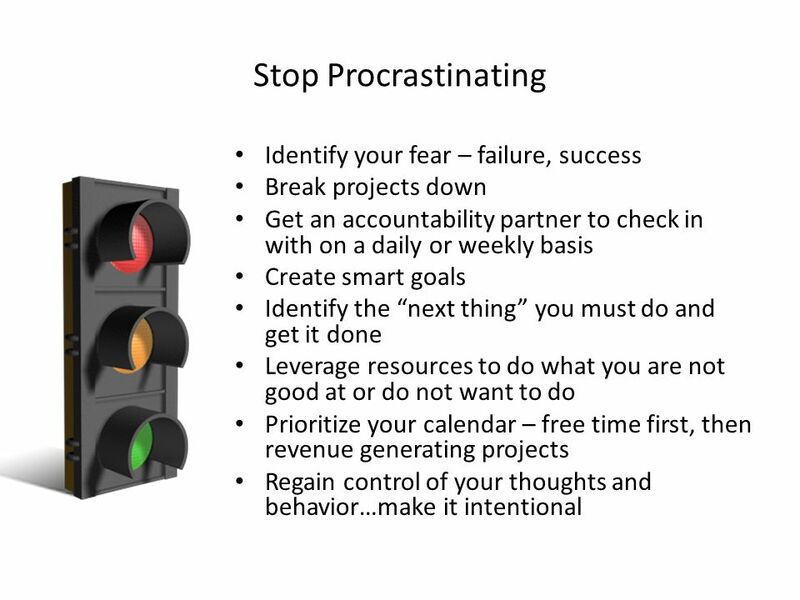  Procrastination is putting off or avoiding doing something that must be done. › A little is normal › Too much = disaster. Today’s Topic… Personal Development: The Passionate Pursuit of YOU ! Leadership Fire: How to Get Extraordinary Things Done – Consistently! 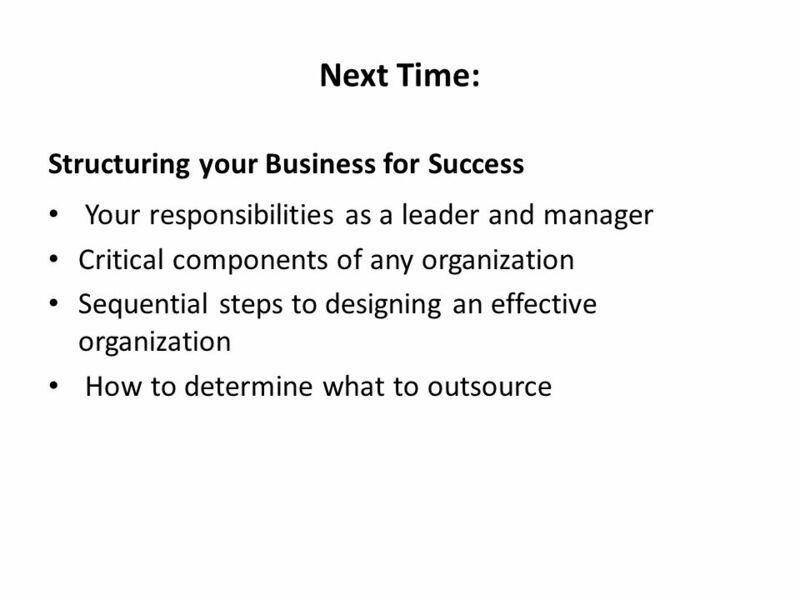 Developed and Prepared for: Executive Assistants Spring Conference Developed and. 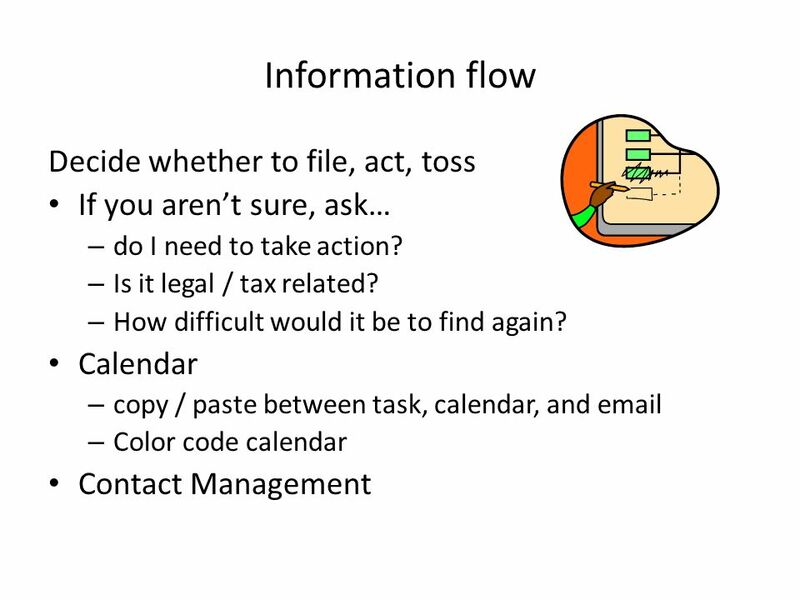 Time Management Part 2. 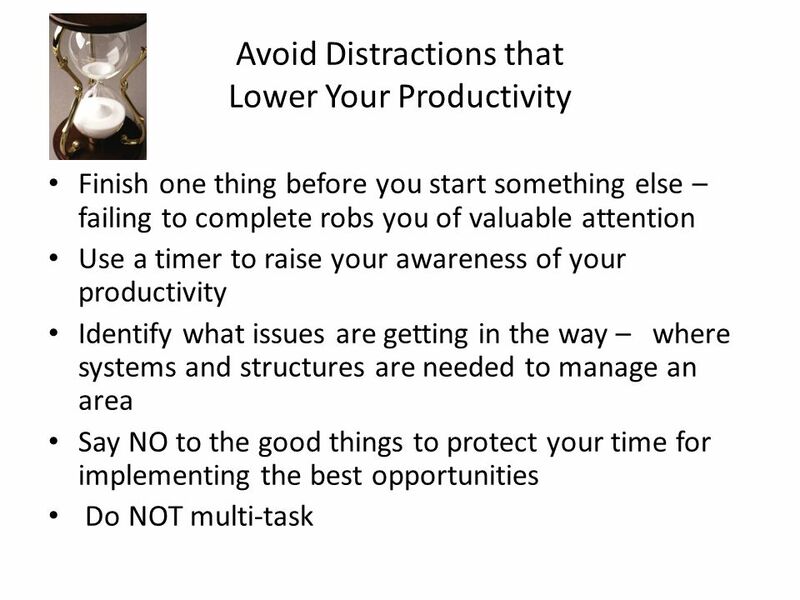 Two Approaches To Time Management Top Down AND Bottom Up Top Down AND Bottom Up. 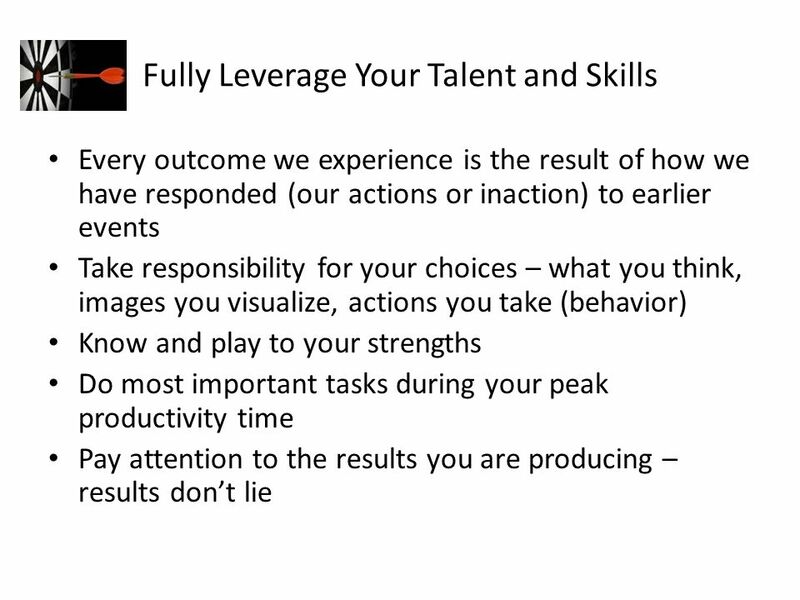 Agenda Preparation, and the Elevator-Pitch Competency-based Interviews Behavorial Questions STAR response Questions to ask. 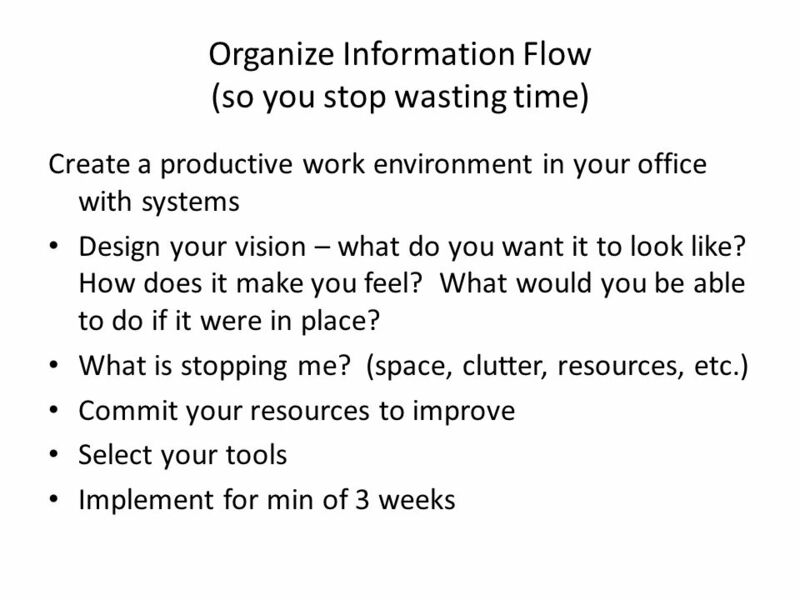 Zen to Done The Ultimate Simple Productivity System Created by Leo Babauta BY: BRENT QUICK.